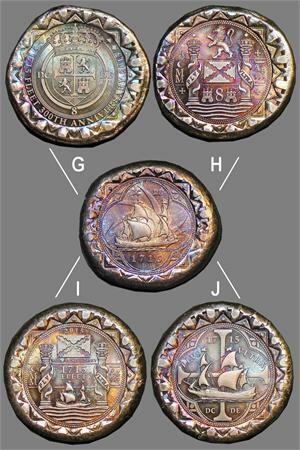 1715 Fleet 300th Anniversary commemorative cobs, color-toned finish, set of four - one each from die pairs G, H, I, J (second 2015 issue, all with ship & hurricane symbol obverse). 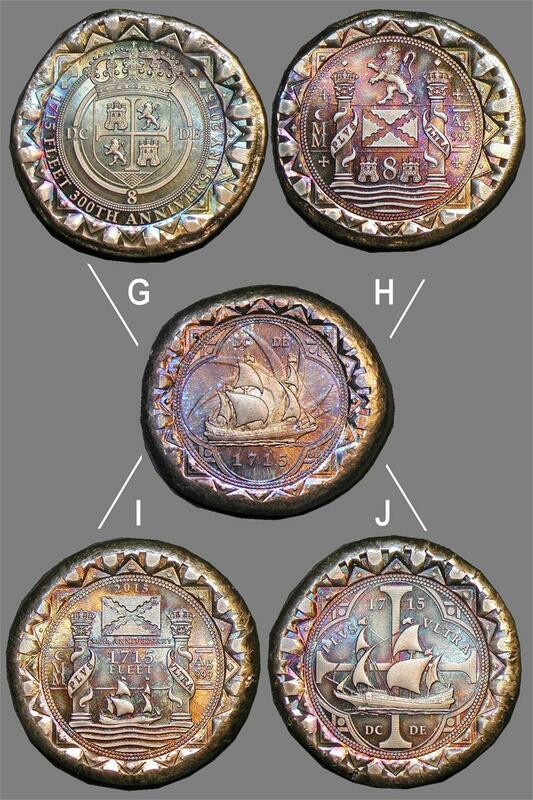 Struck on hand-poured 999 silver cobs which contain trace amounts of Atocha and 1715 Fleet recovery silver. Approximately 28 grams each. Shapes and surface finishes vary.